Now that Game of Thrones has depicted most of the major events from George R.R. Martin’s books, it’s harder and harder to picture those characters and situations any other way. Maybe this will help. 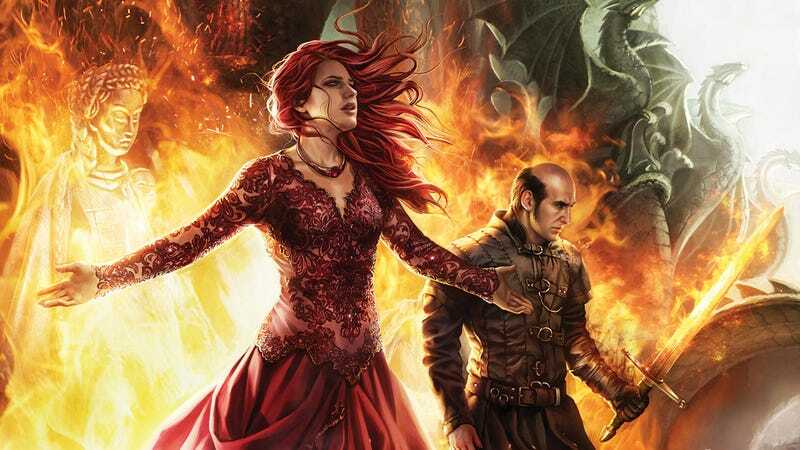 The 2016 A Song of Ice and Fire Calendar is going on sale July 28, and we’ve got the first exclusive look at a ton of the artwork. (The calendars were available at San Diego Comic-Con, too, but we’re the first to post the art online.) This year’s calendar features art by Magali Villeneuve, who’s done such an incredible job of depicting these characters, you might just forget about the actors who have made such a huge impression in those roles. Check out some eye-popping calendar art below.